By now it's common knowledge that a large, bug-exterminating Android 4.4.3 update is coming to the KitKat community, but so far the rollout timeline has been shrouded in mystery. The first 4.3 leaks started back in March, and in the meantime it's been popping up as primed for Nexus, Sony and Motorola devices already. Well, we can now add the almighty Samsung to the mix, as on its Developers account, the company tweeted the statement above, indicating that the bugs in ConsumerIrManager will be rectified come Android 4.4.3. 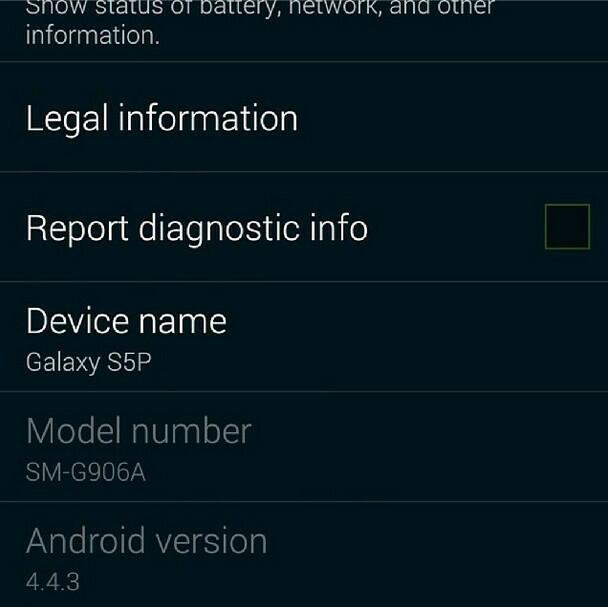 Furthermore, a leaked screenshot, allegedly from the upcoming Galaxy S5 Prime flagship, shows the handset already sporting the latest, yet-unannounced version of Android. Given that this handset is rumored to be released next month, we'd wager to guess that the new version of Android will be rolled out in the next few weeks, but the exact bug zaps it will sport, are yet to be determined. The S5 Prime is supposed to be a direct answer to the Quad HD LG G3, so it's only natural that Samsung would want to put the latest and greatest on it, both in terms of hardware, and in the software department. Given that the rumors so far have pegged it for a June release, Android 4.4.3 will likely be announced by then, so hopefully we will know more about it very soon. let me guess, they add only QHD screen to current s5 , they didnt change the fugly design and they say this the next big thing. cmon samsung !!! Why are there always haters on every Samsung article? Give it a rest dude. yes .ım hater but not samsung hater but that design looks ugly and they insist on it... s5 has great specs but that design kills it. but it sells crazy , does it matter ? no it never change that this phone is ugly..